For over 20 years, Tim Hanning has built new homes and additions and has worked on home improvement projects of all sizes in Down East, Maine. Whether you have building plans in-hand for new construction or need advice on the best approach to take on a remodel or repair project, Tim can offer ideas and suggestions for getting the project done the way you want it done and within your timeframe and budget. 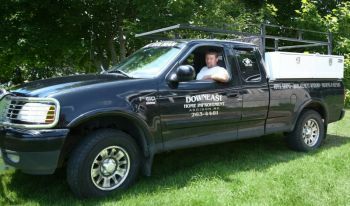 Downeast Home Improvement has invested in the right equipment and tools to get the job done and with greater efficiency. For the homeowner, this means more work can be done in a shorter amount of time, which can often add up to considerable savings as compared to hiring a company with fewer resources. Give Tim a call to discuss possibilities for your next project!